Otoplasty or ear pinning is performed via an incision behind the ear. 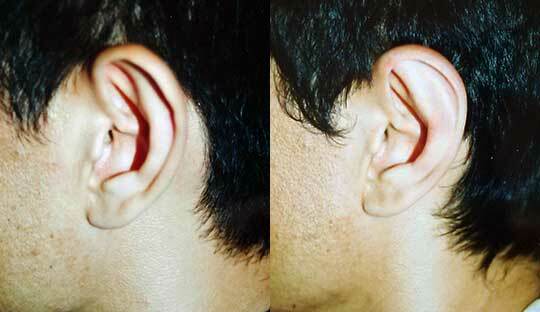 In some cases some cartilage and/or back of ear skin is removed. In all cases non-absorbable sutures are placed to reshape the cartilage. As many as 4 or 5 sutures may be placed in one ear which hold the cartilage in position until it remodels itself into the new shape. 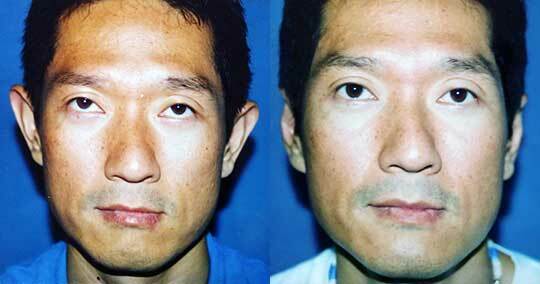 39 year old Asian before and after ear pinning – otoplasty. 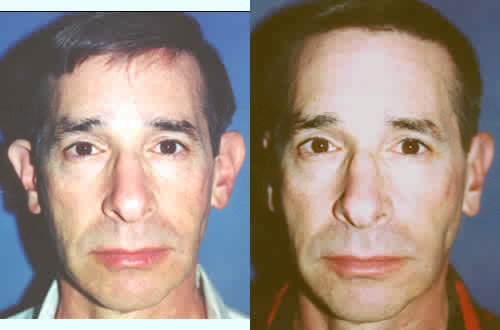 Otoplasty -ear pinning surgery can enhance your appearance and your self confidence. Realistic expectations are important to be happy with any surgery. As each patient is an individual, different results can be expected in each patient. 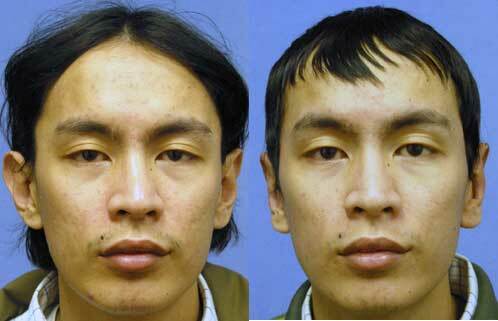 The alternatives to surgery for prominent ears in an adult is growing your hair long to cover your ears. In 2015 clips were devised that are applied externally to fold the ear and are kept in place for the months required for cartilage molding to take place. The clips have to be rearranged to prevent skin breakdown under the clips. It is not yet clear that this is a good option. As with any type of surgery there is the risk of infection, bleeding under the skin (hematoma or cauliflower ear), suture irritation, pain and skin loss at the edges of skin incisions. A pressure sore can be caused by a headband that is too tight. Ear hypo or hypersensitivy is possible but usually temporary. The most common problem is recurrence due to loosening of shaping sutures prior to completion of cartilage remodeling. The benefits are not being self conscious shopping in public and in younger patients it can end a source of bullying. There may be discoloration about the ears for several days, and in some cases this can persist for considerably longer periods. Suture placed in the skin behind the ear are usually absorbale and do not require removal. A headband must be worn 24 hours a day for 6 weeks and then only at night for a total of 6 to 12 months in order to prevent disruption of the shaping sutures. The headband should be obtained before surgery so its fit can be assessed because too tight a headband can cause pressure sores/skin breakdown on the ears.